According to this article from our friends at RealSimple.com, these 8 plants can beautifully help fight mosquitoes and bugs! Most on this list do really well here in Georgia, plus they’re pretty and some are even tasty! Check it out before you do your spring planting! “Lavender has a fragrant smell that deters mosquitoes,” Johnston says. “I have this planted in clusters at the entryway of my garden, and I love those purple blooms. It likes to be hot and dry, so it’s perfect for summer.” You can also apply lavender oil to your skin as a natural repellent. It not only adds flavor to your dishes, but it will also help keep the bugs away. “This one is another plant perfect for summer heat because it likes to be dry,” Johnston says. “It is one of my absolute favorite smells, but mosquitoes can’t stand it. You can plant it in containers, but it also works well as a hedge.” Johnston says the plant also adds texture to arrangements, so why not place it in an outdoor centerpiece to repel bugs and provide some eye candy? “It’s an annual herb and repels houseflies and mosquitoes,” says Chris Lambton. “Ensure that the plant gets six to eight hours of full sun daily, and its soil should be moist and well-drained. 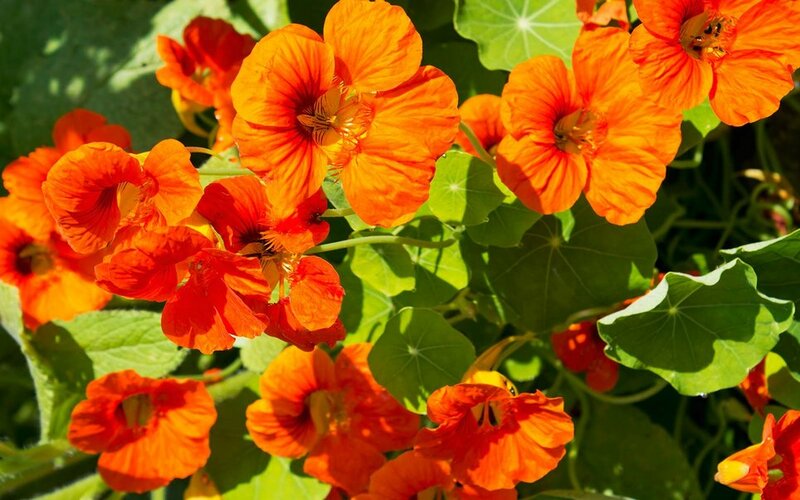 When you see blossoms start to form, pinch them off at the base to ensure the best-tasting leaves.” This versatile herb can also treat mosquito bites, Johnston adds. She recommends rolling several leaves between your hands to release its natural oil and apply to your bite to ease swelling. 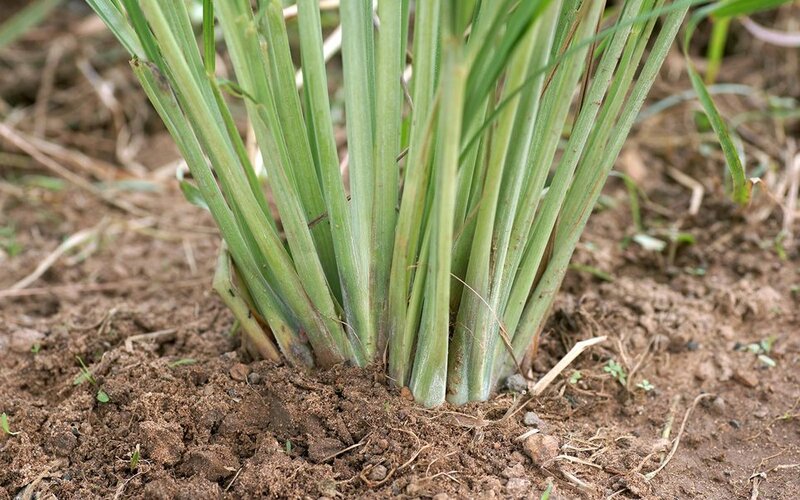 Lemongrass is closely related to citronella and repels mosquitoes, but unlike the latter, it’s edible and is commonly used in Southeast Asian cooking. “It can grow three- to five-feet tall and adds lots of extra height and texture to the garden, so it needs a larger container,” Johnston says. Keep this plant in a sunny spot. Not all sellers scour the Internet to find out what’s being said about their property, but they should. Nearly all buyers—90%—search online during their hunt for a home, according to the National Association of Realtors. You should be aware of what your online listing looks like, since it will influence the kinds of concerns buyers will have, says Avery Boyce, a Realtor with Compass Real Estate in Washington, D.C.
“Is the site’s estimated value very different from your asking price? It might be because tax records have the wrong information about the number of bedrooms or bathrooms your house has, and this is easily fixed,” Boyce says. Consider this too: Google Maps’ street view of your property may not show improvements that you’ve made, so you’ll want to be sure to include those updates in your listing. “If you’ve owned your home for a while, make a list of all the problems you’ve solved while you’ve lived there,” says Boyce. This could include chimney fires, water damage, or a flood in the basement. Whether you solved the problem or not, you should disclose this information to the buyer so you don’t wind up in a lawsuit after the sale. Disclosing “invisible improvements” that you’ve made, like re-grading or adding a French drain system, can also be a great source of comfort for buyers, adds Boyce. An agent’s bad behavior or incompetence could cost you time, money, and peace of mind, so it’s well worth taking extra steps to find the best real estate agent for you. Ask friends for recommendations. Check that the people you’re considering have a current real estate license—with no complaints filed against them. Meet with the agent and reach out to a few of their references directly. We’re proud of the reputation we’ve built in our community. We have the experience and professionalism you can trust. Please contact us at info@petersenpartners.com or check us out at www.PetersenPartners.com. We will be happy to provide you a list of references and answer any questions you may have! You staged your home beautifully, picked a competitive price, and listed the property, but there’s something else you’ll need to prepare before you’re fully ready to sell—a social media marketing plan. Video tours, floor plans, and photo galleries promoted on Facebook, Twitter, and Instagram are must-dos, advises Cashman. Storage is a huge selling point for homes. So be warned: Buyers are going to poke around inside closets, drawers, cabinets, ovens, refrigerators, and even the dishwasher, whether they’re cleaned or not—so you’d better make sure they are clean. “Spending the money on a service to deep-clean your home will come back to you at least 10 times in your sales price,” says Boyce. Even if you’ve swept up and scrubbed all surfaces to a shine, you’re not done until dust, crumbs, and creepy crawlies are cleaned out from within the small spaces too. You don’t want a buyer to fall in love with your house because of the custom window treatments and then rescind their offer when they find out the curtains aren’t for sale. Atlanta Parent compiled this great list of spring festivals around Atlanta. Lots of fun activities to check out! With the weather finally warming up in Atlanta, weekends are going to be jam packed with outdoor festivals for your family to explore. These festivals are often free, and include multiple children’s play areas, inflatables, face painting and arts and crafts stations. The Dogwood Festival includes high-flying swings and big slides, and the Inman Park Festival has a parade complete with colorful costumes and a funky community band. If you are looking for a new art piece for your home or want to grab a bite to eat from the window of a food truck, spend your spring weekends festival hopping. The kids will love Lemonade Days at Brook Run Park with carnival rides and games, and you will enjoy tasting samples from over 75 restaurants at the Taste of Marietta. If you want to travel back in time and watch knights joust on horses or be amazed by a juggling show, visit the Georgia Renaissance Festival through June. Our spring festival picks bring so many ways to plan quality, weekend family time. Grab the sunscreen and head to a park! April 1-2. Sat. 10 a.m.-5 p.m. Sun. 11 a.m.-5 p.m.
150 local and regional artists, children’s area, local food and more. 1451 Ponce de Leon Ave., Atlanta. Admission, free. April 7-9. Fri., noon-11 p.m.; Sat., 10 a.m.-11 p.m.; Sun., 10 a.m.-6 p.m. Three-day festival features artists from around the country, musical performances, children’s area with inflatables, arts and crafts, face painting and more. 14th St. and Piedmont Ave., Atlanta. 404-817- 6642. Admission, free. April 8. 11 a.m.-4 p.m.
Azalea showcases, guided nature hikes, face painting, animal shows and more. 5665 Reynolds Rd., Morrow. 770-603-4188. Admission, free. April 8 and 9. Sat. 10 a.m.-6 p.m. Sun. 11 a.m.-5 p.m.
Over 100 artists displaying paintings, pottery, metalwork and more. Children’s area includes arts and crafts projects, bounce houses, sand art and face painting. 4415 Senator Russell Blvd., Acworth. 770-337-4049. Admission, free. April 15. 10 a.m.-5 p.m.
Live entertainment, vendors, artist demos, children’s area, kid’s chalk art contest, food trucks and more. 4758 South Old Peachtree Rd., Norcross. 678-277-0920. admission, free. April 15 and 16. Sat. 10 a.m.-5 p.m. and Sun. 11 a.m.-5 p.m.
Children’s area, local musicians, interactive art stations, plus up to 150 arts and crafts participants. 6100 Lake Forrest Dr., Sandy Springs. 404-873-1222. dmission, free. Sat. and Sun. April 15-June 4 and Memorial Day. 10:30 a.m.-6 p.m. Artist market, fire whip show, jousting, a hypnotist, belly dancing, aerial trapeze acts, knife throwing and more. Grab a turkey leg and travel back in time. 6905 Virlyn B. Smith Rd., Fairburn. 770-964-8575. Adults, $22; ages 6-12, $10;ages 5 and younger, free. April 19-23. Wed.-Fri. 4-10 p.m. Sat. 10 a.m.-10 p.m. Sun. noon-6 p.m. Rides, games concessions, arts and craft fair and live music. 4770 North Peachtree Rd., Dunwoody. 770-668-0401. Admission, free; unlimited ride pass, $20-25. Samples from local restaurants plus live entertainment, children’s area, carnival rides and more. N. and S. Court Square, Newnan. 770-253-8283. Admission, free; tasting tickets, $1. Over 30 Henry County restaurants serve tasting samples plus kids can enjoy slides, moonwalks, face painting and more. 101 Lake Dow Rd., McDonough. 678-432-1630. Adults, $20; ages 3-12, $5; kid zone tickets, $1 each. April 22 and 23. Sat., 10 a.m.-6 p.m. (parade, 9:30 a.m.); Sun., noon-5 p.m. Enjoy the artist markets, children’s area and live music. 2829 Cherokee St., Kennesaw. 770-423-1330. Admission, free. April 22 and 23. Sat. 11 a.m.-9 p.m., Sun. noon-6 p.m.
Arab restaurants. 3288 Marjan Dr., Atlanta. 770-936-8770. Adults, $5; ages 11 and younger, free. Enjoy biking, skating or walking down the car-free streets. Local businesses will have booths and displays along the route. Bike parade at 2 p.m. Georgia Avenue and Ralph David Abernathy Blvd. Admission, free. April 29. 10 a.m.-4 p.m.
Chicken city parade, upcycled arts and crafts show, live entertainment, children’s area and chicken cook-off. 104 Main St., Gainesville. 770-531-1102. Admission, free. Chicken sample card, $5. 100+ cars on display, barbecue, live music and more benefitting the Cystic Fibrosis Foundation. 8200 Roberts Dr., Atlanta. 678-892-1200. $20; ages 8 and younger, free. Visit the Atlanta BeltLine for games, live music, dance performances, food trucks, health and wellness screenings, fitness demos and more. 102 Ollie St. NW, Atlanta. Admission, free. April 29 and 30. Sat. 10 a.m.-6 p.m.; Sun. noon-5 p.m.; 5K: Sat. 8 a.m. Artist market, Jonquil Jog/Walk 5K, puppet shows by Peter Hart, food for purchase, live music and children’s area. 200 Village Green Cir., Smyrna. 770-423-1330. Admission, free. April 28 (home tour only), noon-4 p.m. April 29 and 30. Sat. 11 a.m.-6 p.m. (parade, 2 p.m.); Sun. 11 a.m.-6 p.m.
A self-guided home tour of the neighborhood’s historic houses, an artist market, kid’ yoga, live pet shows and children’s area. Euclid Ave., Atlanta. Admission, ree; home tour, $20. April 30. 11 a.m.-7 p.m.
75 Cobb County restaurants, live entertainment and children’s area. 50 Park Sq., Marietta. 770-429-1115. Admission, free; tastings, $1-$5. 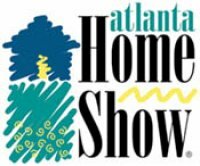 The 39th Annual Spring Atlanta Home Show is coming up March 24-26, 2017 at the Cobb Galleria Centre. It’s the largest Home Show in Georgia! Hundreds of participating companies! For THREE days only March 24-26, the Cobb Galleria transforms into a one-stop-shop for all your home improvement needs! 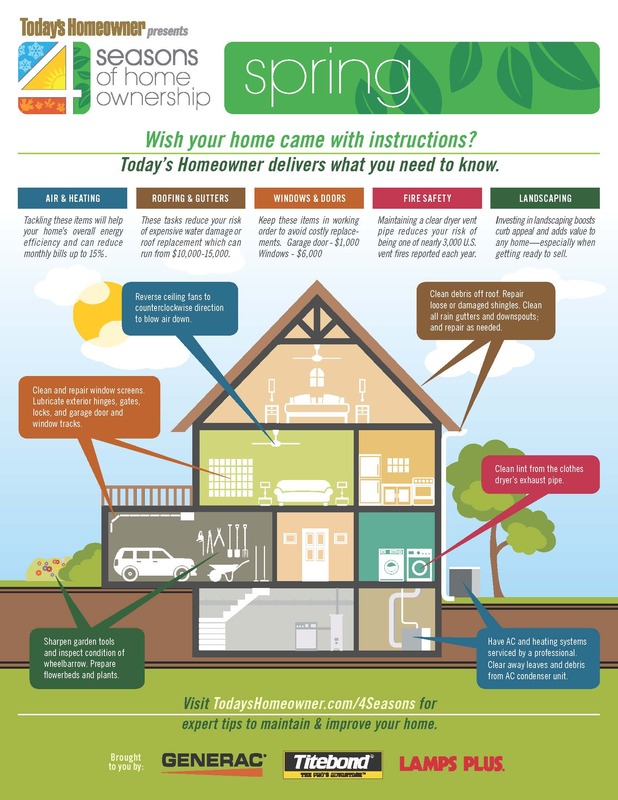 For 39 years the Spring Atlanta Home Show has been improving home lifestyles and adding value to your largest single investment, your home. Find out more at AtlantaHomeShow.com. TodaysHomeOwner.com offers a great list of maintenance items you can easily tackle this spring to keep your home at its best. Download their handy checklist, too. Have AC and heating systems serviced by a professional. Clean all rain gutters and downspouts; make repairs, if necessary. Clean and repair window screens. Clean tracks and lubricate. Clean debris off roof. Check for loose or damaged roof shingles or flashing. Repair, if needed. Sharpen all garden tools and inspect the condition of your wheelbarrow. Clean lint from the clothes dryer’s exhaust pipe. 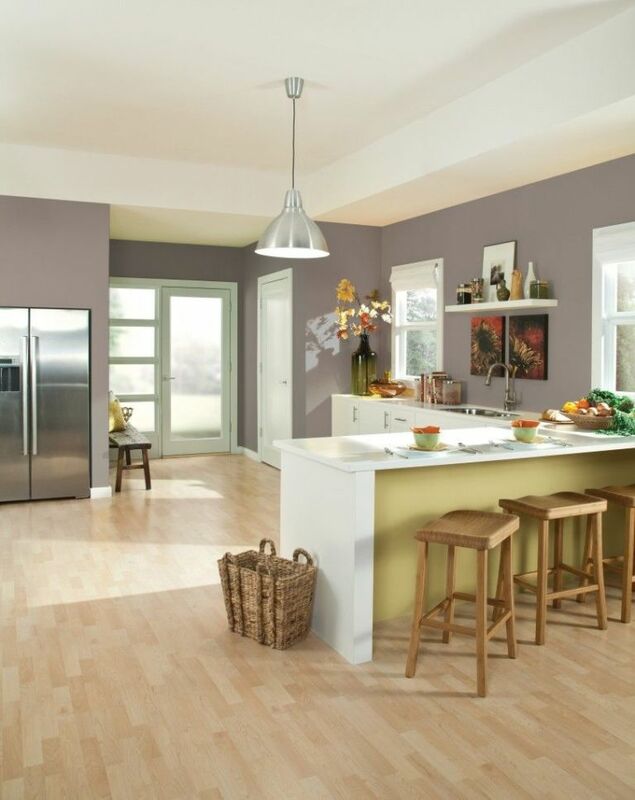 Reverse ceiling fans to counterclockwise direction to blow air down. Lubricate all exterior hinges, gates, garage door tracks, and locks. Clear away all leaves and debris from the AC condenser unit. Prepare all flowerbeds and plants. Pressure wash decks, fences, siding and driveways. Add additional insulation to the attic. Organize at least one closet in your home. Dust lampshades and ceiling fan blades. Aerate and fertilize the lawn. Reseed all bare spots on lawn. Paint the mailbox and inspect the mailbox post. Reorganize all DVDs, CDs, and video games. Take all indoor plants outside and clean. Test sump pump by pouring a bucket of water to activate. 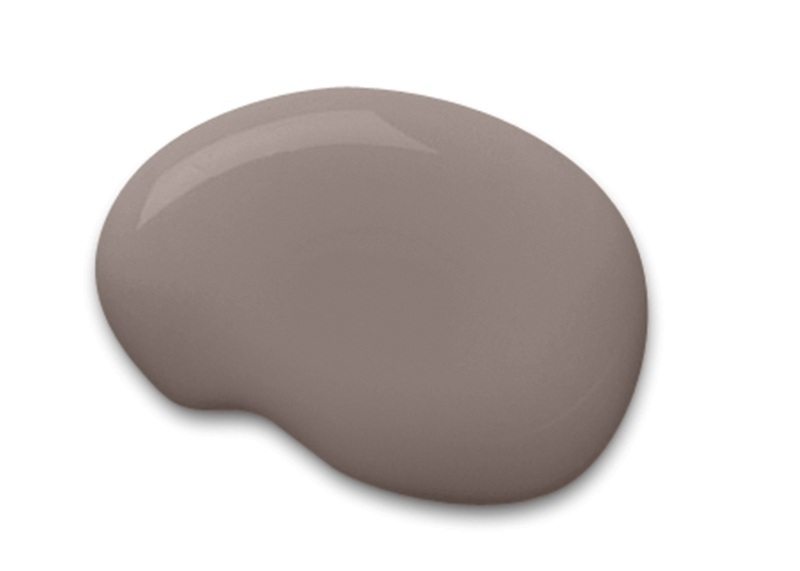 For a perfect pairing, Sherwin-Williams designers recommend combining Poised Taupe with pastels, brights, and jewel tones (such as a faded indigo hue for a French countryside look or combine it with a teal or sunny yellow for a more bold impact). Still can’t imagine what it would look like in your home? 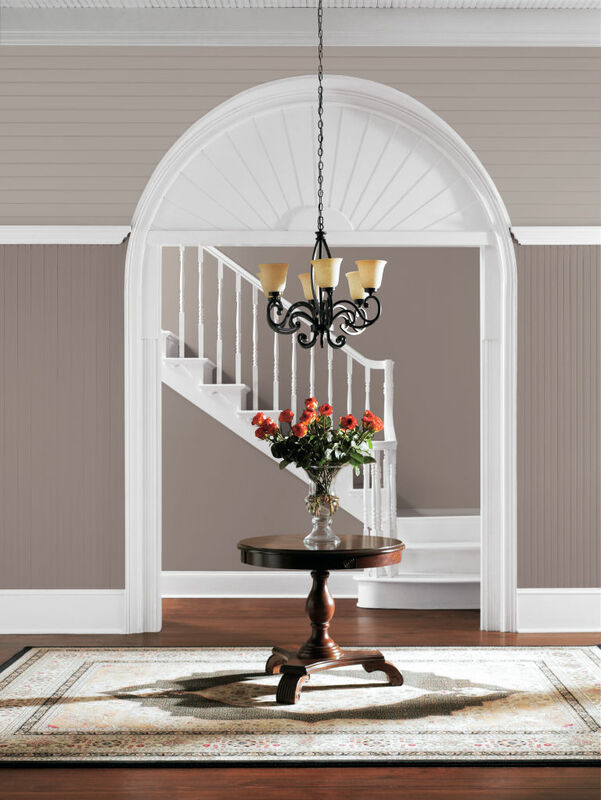 Check out these pictures courtesy of Sherwin Williams and checkout their Pinterest page for more ideas! If you live or have ever lived in a snow-deprived area or have witnessed a dry winter, you know that it can be a bummer—especially if you have kids. The snowy solution? Make your own, of course! This easy-to-make indoor snow looks and feels just like the real thing and will create hours of indoor fun! Chill the baking soda in the refrigerator for a few hours, and then empty it into a bowl. Slowly mix the shaving cream into the baking soda until it reaches a snow-like consistency. How can you use your indoor snow? Let your creativity be your guide. Here are just a few ideas: You can make a snowman, or create snowballs to toss at unsuspecting family members. And, of course, the more people you have involved, the more fun you’ll have—so remember that you can always double the recipe to make it “snow” more inside! If you’re feeling snowed under by inclement weather, make the indoors your playground. To get more fun indoor wintertime activities, visit www.americanlifestylemag.com/holidays. Keeping your home in show-ready condition can be challenging, especially if you have a houseful of kids and pets. What to do? Follow the Four D’s. Declutter: Most listing agents would agree that clutter confuses buyers. They can’t see the home’s “bones” for all the furniture, toys, and other things. You have to pack up to move, so start dividing your things into three categories – keep, donate, and throw away. For things you want to keep, get a storage unit for out-of-season clothes and holiday dishes that you won’t need for a while. Depersonalize: While you’re decluttering, store personal items such as photos, albums, figurines and collectibles. Accidents happen, so pack up and store as many breakable items as you can. Detail: Just as you detail your car to help it hold its beauty and value, you should detail your home with the most vigorous cleaning it’s ever had. When you know you’re home is being shown or to get it ready for an open house, get your helpers to grab a basket and pick up anything that doesn’t belong out, like dirty clothes, wet towels, and tablets and smartphones. Decamp: It’s harder for buyers to imagine themselves in your home if you’re still there, so take the kids and the dog to the park while your home is being shown. Buyers need to feel free to speak their minds and weigh possibilities. 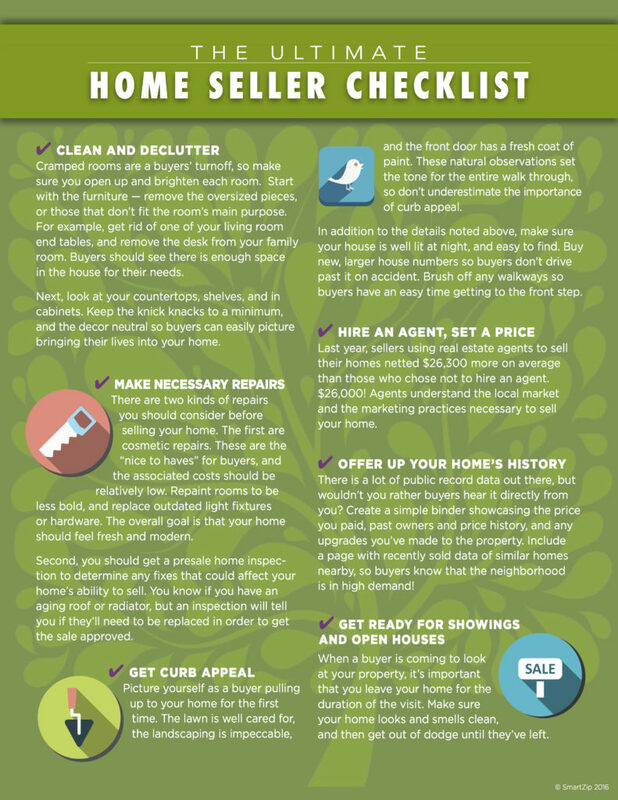 Get everyone on board to keep things clean and neat, and your showings are much more likely to result in your home being sold. Click for more information on staging your home or preparing your home for professional photography. Sometimes, the simplest things make the most difference. Consider a US soldier, stationed thousands of miles away from home. Even the bare necessities, such as food and clothing, would be welcomed. That’s why many people send care packages to our military personnel and veterans all over the world. 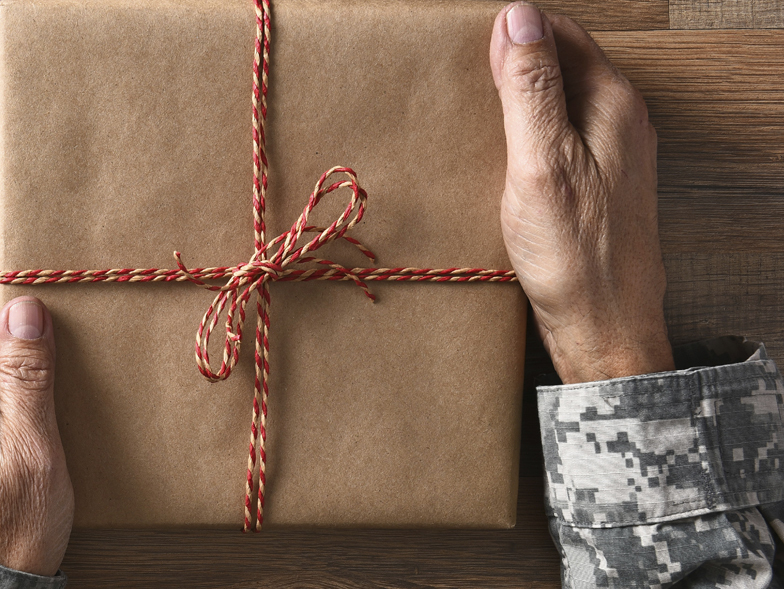 Check out this handy list for some of the most useful—and appreciated—items you can send to a soldier. When you decide what to put in your care package, Operation Gratitude will make sure it gets to the troops. For more information on sending care packages to soldiers, including the preferred sizes of the items on their wish list, visit the Operation Gratitude website. To get more ideas for how you can help veterans, visit www.americanlifestylemag.com/veterans. When you’re ready to sell your home, there’s a lot of prep work you can do to help sell it faster and for potentially more money. Start with these great tips and check out these tips on www.PetersenPartners.com on how to prep your home for listing photographs.